Heat oven to 375°F. Spray 2 large cookie sheets with cooking spray. Make broccoli as directed on bag. Drain on paper towels, and let cool slightly. 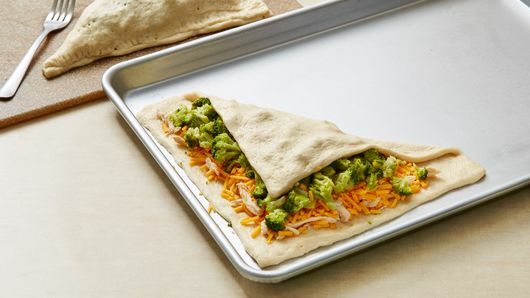 Meanwhile, unroll pizza crust, and cut in half crosswise. Place half on each cookie sheet. Press each half into 9-inch square. Divide chicken between crusts, and place diagonally on half of crust leaving 1/2-inch rim, covering corners as well. Top chicken with cheese, pressing cheese down firmly. Top with broccoli. 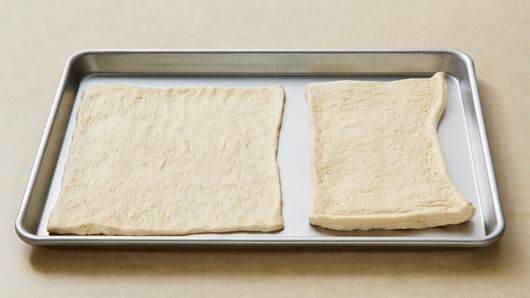 Working from opposite point, gently fold and stretch dough over filling; press edges with fork to seal. Poke several holes in top of each calzone with fork. Brush top of calzone with oil, and sprinkle with salt to taste. Bake 23 to 27 minutes or until golden brown. Cut each calzone into fourths. 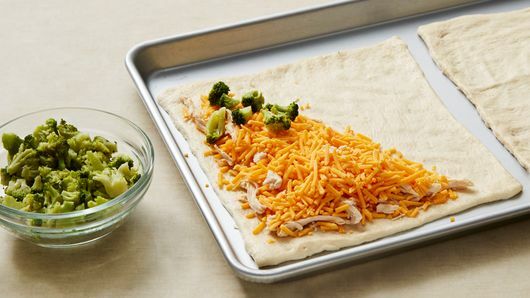 To freeze: Prepare calzones on two 24x12-inch sheets of foil that are sprayed with cooking spray. Wrap in foil; label, and freeze in gallon-size resealable freezer plastic bags. To bake: Heat oven to 375°F. 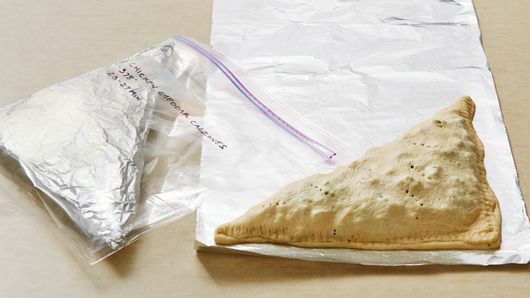 Remove from plastic; place frozen foil-wrapped calzone(s) on cookie sheet. Bake about 1 hour or until instant-read thermometer inserted in center of calzone reads 165°F. Remove foil but keep edges tented; broil about 1 minute or until golden brown. Feeding vegetarians and meat eaters at the same table? 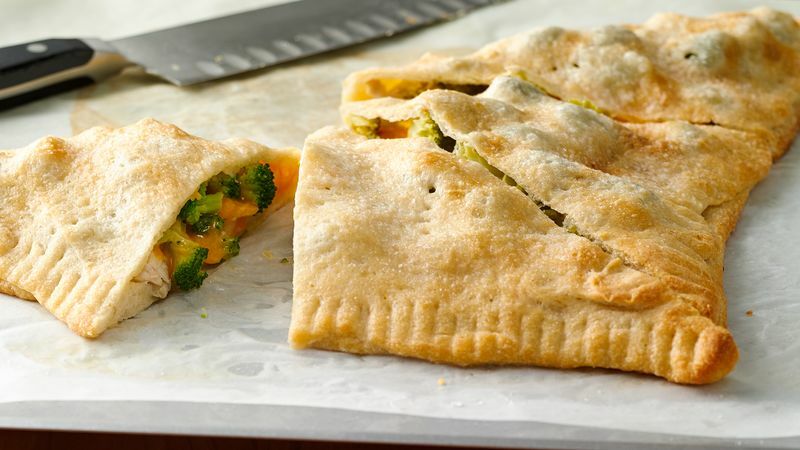 Leave the chicken out of one of the calzones--there's no need to add anything in its place to make it work! Make it your own with different cheeses--mozzarella and Colby-Monterey Jack make nice substitutes.